Lying by the mighty Hau River, the southernmost tributary of the mother river Mekong, Can Tho is a delightful gateway to Mekong Delta. Not only is a gateway, Can Tho also the largest provincial city as well as a commercial hub of the south. Thanks to the fertile soils nurtured by the maze of tributaries, canals and rivers here, Can Tho produces the largest number of agricultural products. 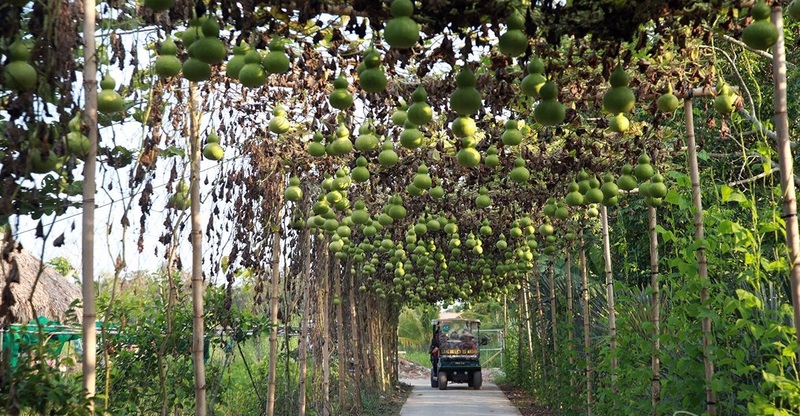 You can totally see the bounty when visiting Can Tho’s two floating markets, several orchards and gardens. Cai Rang Floating Market is the most iconic floating market not only in Mekong Delta but also in all Vietnam. In recent years, Cai Rang is even more worthy to visit, even though you might find the market quite touristy. Located just 5 kilometers from Can Tho City, it takes you only 30 minutes away from Ninh Kieu Wharf by boat. Cai Rang Floating Market has existed for more than 100 years, making it one of the oldest cultural practice in Mekong Delta. 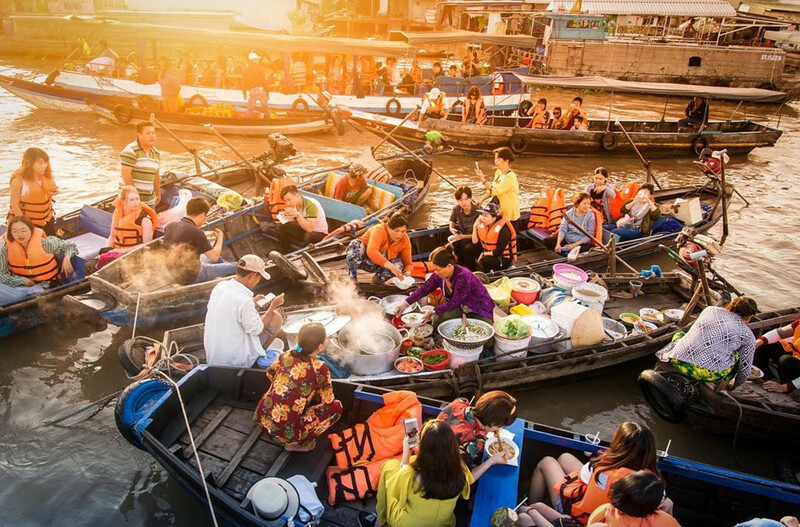 Cai Rang is also listed as top 6 busiest floating markets on the world, and surely, if you miss the market in your trip to Can Tho, surely you're missing the point here. Opening early in the morning, Cai Rang sells mostly agricultural products like fresh fruits from the orchards, vegetables and breakfast food like noodle soup, Hu Tieu, coffee, snack and soft drinks, etc. Other useful products for visitors are also available like mobile card, cosmetic and clothing. Come to Cai Rang floating market, you can see the life on the water so vividly. The people here are so adapted to the river life with their boat-house where they have everything they need on the water. Unlike your normal markets, people don't yell about what they sell, but instead, to inform the buyers about the products, they hang one of each type of the products on a bamboo pole. Of course, only the hangable ones. From Ninh Kieu Wharf’s Tourist Port 1 (Hai Ba Trung Street), you can easily buy a boat ticket to visit the Cai Rang Floating Market. There are two types of boat – the big boat has 15 seats and is roofed while the smaller boat can fit 2-4 people, and doesn’t have roof. If you choose the bigger boat, you might have to wait a bit longer for the seats to be filled up. The third option for you is renting a boat from An Binh Port. 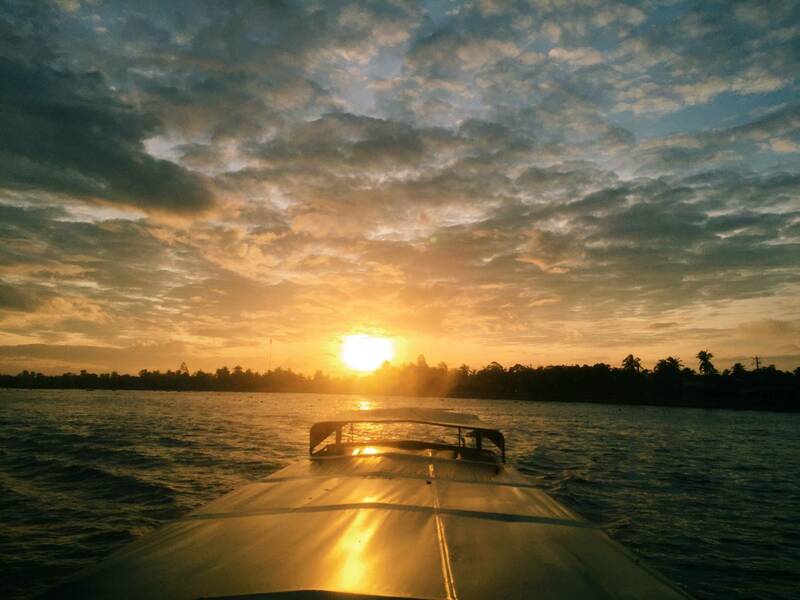 A 1-hour motorboat tour around the floating market costs around 150,000VND per boat. The market opens every day in the morning, can be distinguished as a large group of boats gathering in the middle of Can Tho River. Busiest time in Cai Rang Market is between January and February, 1 or 2 weeks before Lunar New Year and April-May when tropical fruits are picked and sold here. Often overlooked by visitors to Can Tho who just know about the famous Cai Rang Floating Market, Phong Dien Floating Market is certainly less visited and less touristy. Phong Dien starts around 4-5AM everyday and busiest around 7-8AM, located just 17km away from the centre of Can Tho. 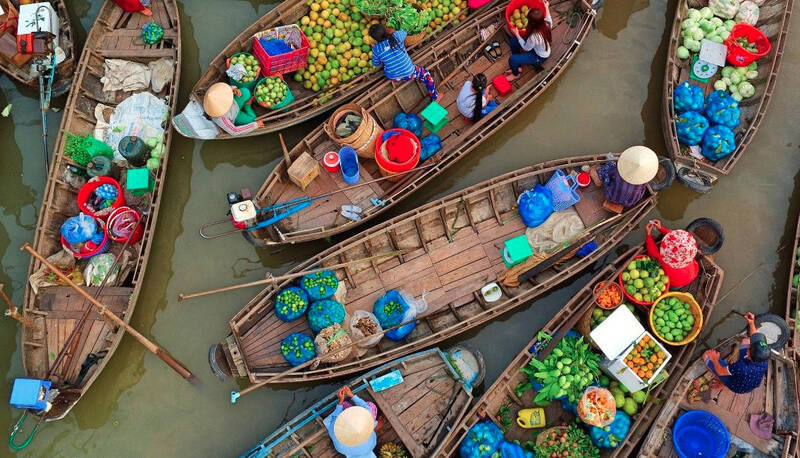 This floating market is among the busiest floating market with abundant and diverse products like fruits, vegetables, foods, household items, gasoline and working tools. Come to Phong Dien, you'll have chance to see the sampan boats, motorboats and big boats full of products cruising slowly on the river, making it such a unique, bustling and no less iconic scene only to be seen in this region. Don't forget to enjoy the local delicacies being sold right on the boat like noodle soup, noodle with toasted meat, rice soup, Hu Tieu, and coffee, etc. In particular, there are dozens of ferry and vessels anchoring at the river's bank. They are ready to take tourists to visit the floating market. Unlike Cai Rang market and other markets that close quite soon before noon, the activities in Phong Dien Market still goes on until afternoon. You can book a tour to visit boat Cai Rang and Phong Dien, often costs more than 500,000VND per person. Or you can enjoy the views over Phong Dien floating market by sitting on a café along the river. Ninh Kieu Wharf lies on the bank of Hau River, is the gateway to discover Can Tho's floating markets and orchards, creating an symbolic scene of the harmonious life of the people along the Mekong. The wharf is also the city's main trading centre which becomes quite bustling after nightfall. 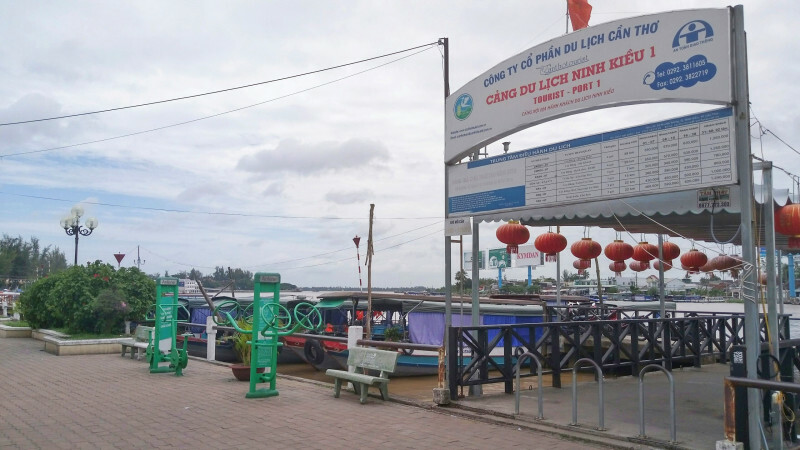 Ninh Kieu is more than a just a wharf since it has long been developed into a park on an area of 7000sqm, featuring a flower garden and floating restaurants. 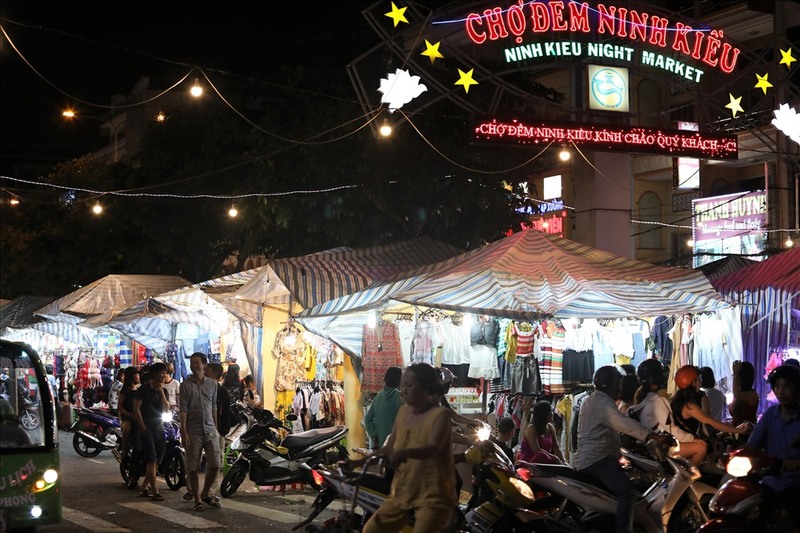 From 2016, Ninh Kieu's attracted even more visitors with the walking street, food area and night market. Also in this year, a 200m long pedestrian bridge was inaugurated to connect Ninh Kieu and Cai Khe Islet. Stand on the ground of Ninh Kieu Wharf, not only you can see the flow of Hau River, but you can also see Can Tho harbor and Can Tho bridge - the longest cable-stayed bridge in Southeast Asia. Located within Ninh Kieu Wharf’s area, Ninh Kieu night market is the best spot to hang out in Can Tho after nightfall. The night market attracts locals and tourists alike with its nice souvenirs, delicious street food and walking street. 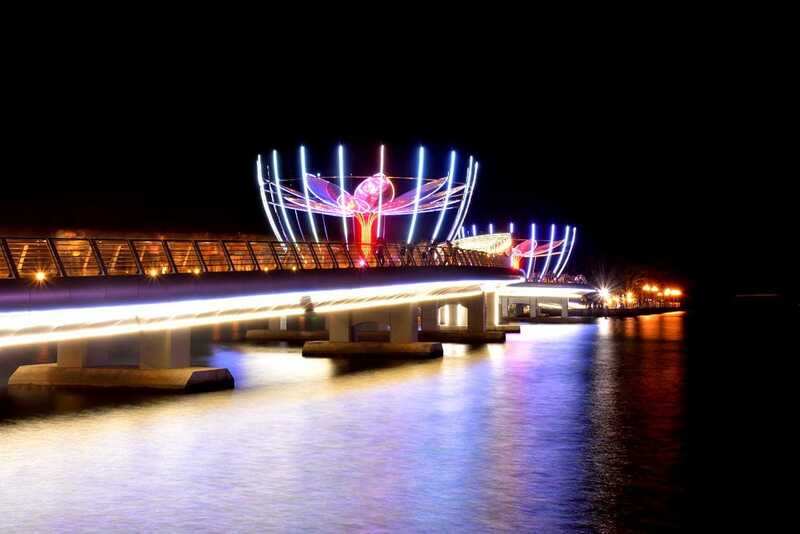 From the market, you can enjoy Hau River lit up with the sparkling lights. The food in Can Tho is generally cheap, and at Ninh Kieu Market, you can enjoy the local delicacies to your hear content. 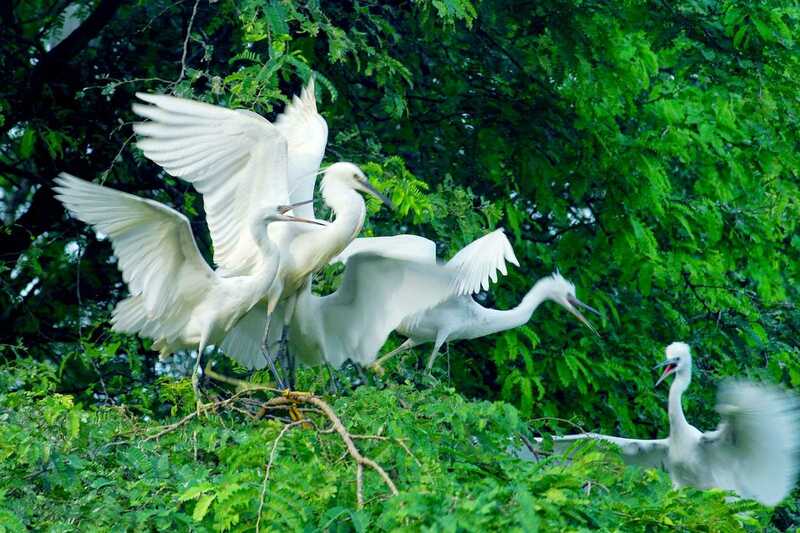 Bang Lang Stock Sanctuary is one of the few spots in Can Tho to see the biodiversity of Mekong Delta wetlands. Located in Thot Not District, on way from Can Tho City to Long Xuyen city, Bang Lang Stock Sanctuary covers an area of 19,400sqm and is home to ten of thousands stocks. To see the stocks, visit Bang Lang Sanctuary from 6:00AM to 7:00AM when they fly off to search for food and from 5:00PM to 6:00PM when they return. The visitors will see the stocks flying and standing in clusters on the trees' branches here. It's just a peaceful scene to see in the rural area of Can Tho. Located at No.26/1A Bui Huu Nghia Street, Binh Thuy District, about 10 kilometers from Can Tho City, Binh Thuy Ancient House shines with a classic French architecture style. Built in 1870 by Mr. Duong Chan Ky, Binh Thuy ancient house is among few ancient houses left in Mekong Delta that has been kept intact. Covering a total area of 8000sqm with a lush garden and fresh air, Binh Thuy House can be a great place to rest on your trip. 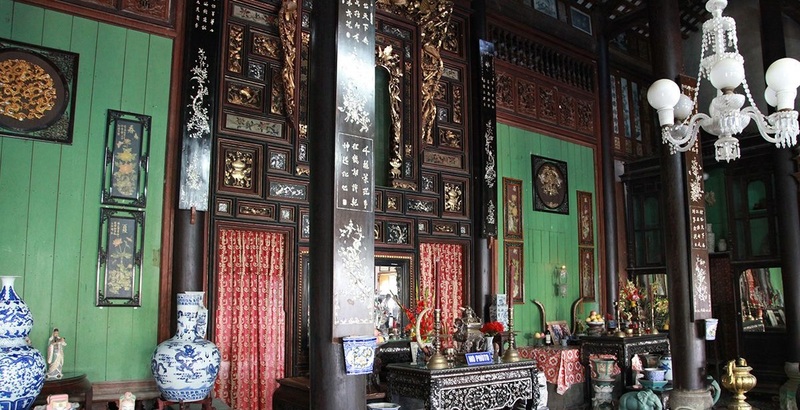 Inside the house, you can encounter many combinations of Eastern and Western styles - oriental style shows more on the furniture and and interior while the western style seen in the outside decorations. There're also rare antiques in the house such as two sets of marble table and chair from Yunnan, set of mosaic table and loungers with French furniture style from Louis XV period, chandelier made in 18th century and more. Located right in the city's center, on Hai Ba Trung Street, near Ninh Kieu Wharf, Ong Pagoda is an outstanding religious construction to visit in Can Tho. 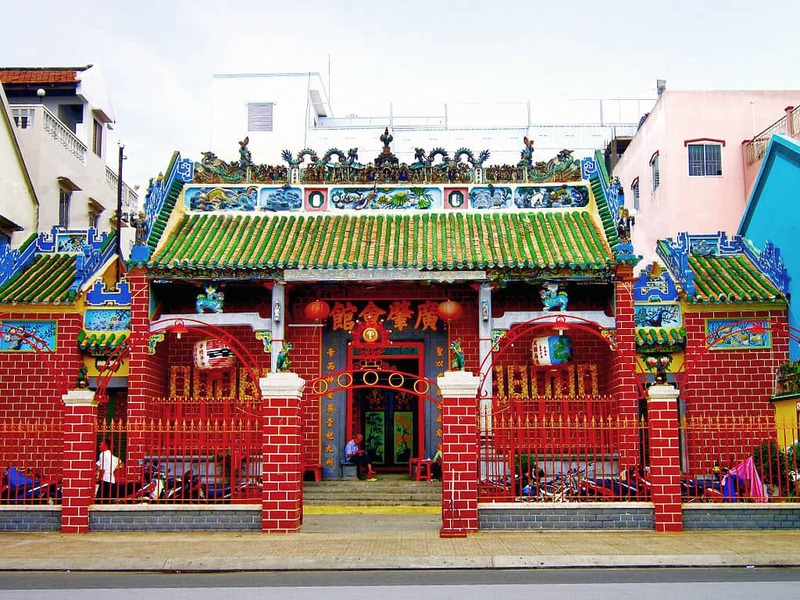 Built from 1894 to 1896 on an area of 532sqm in the shape of Han character (Quoc), Ong Pagoda is an excellent example of Chinese temple architecture in South Vietnam. The roof of the pagoda is made in double tiles, edged by dark green glazed tiles on the top, adorn by many many porcelain figures related to ancient legends, such as two dragons flaking the moon, carp changing into dragon, and phoenix. At the roof's each end stand the statues of people holding the sun and moon. Ong Pagoda is the worshiping place of Quan Cong - a general from Chinese's three-kingdom period, Avalokitesvara Bodhisattva, Tai Bach Tinh Quan (God of Wealth), Holy Mother Thien Hau, and Dong Vinh. Pitu Khosa Rangsay Pagoda in Can Tho is among the best Khmer pagodas in Mekong Delta. Located at 27/18 Mac Dinh Chi Street, Ninh Kieu district, Pitu Khosa Rangsay boasts a splendid architecture which captures your eyes with its glimmering golden roof. 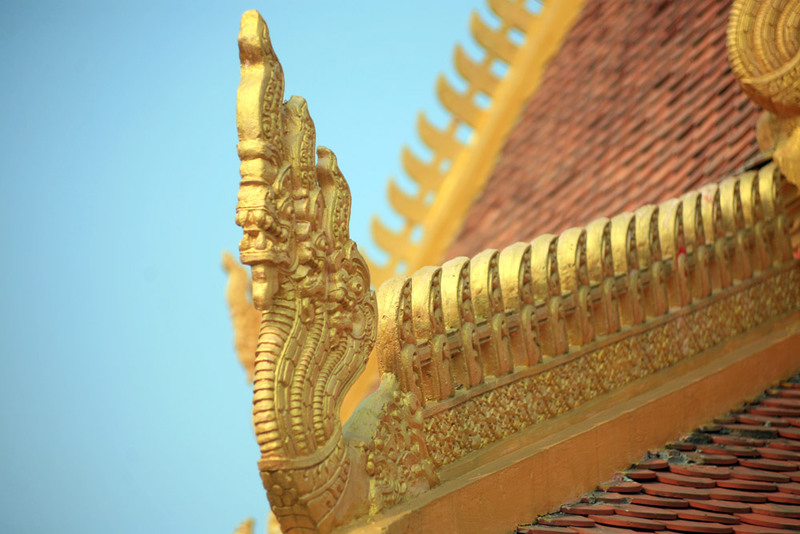 The sanctum of the pagoda has three floors while the pagoda's stupa above is adorned with delicate Khmer patterns and images such as dragons, Fairy Kayno, sacred bird Krud, Goddess Teppanom, etc. At the sanctum, statues of Shakyamuni made of stone or copper are finely carved. Annual Khmer festivals such as Ok Om Bok, Chol Chnam Thmay and Dolta are often held in the pagoda. My Khanh Tourist Garden boasts bountifulness of the nature and a peaceful atmosphere of a garden lying on the bank of Can Tho River. Tourists can easily go to My Khanh Tourist Village by road or waterway through Cai Rang floating market. Covering a total area of 40,000sqm, the whole garden is an orchard with more than 20 species of plants. Not only plants to see here, My Khanh garden has many things to see such as monkey circus, dog and pig races, boating, fishing, watching Don Ca Tai Tu performance, tasting southern delicacies like sizzling cake, khot cake, grilled corn, grilled chicken and fish... Another special thing to try in My Khanh is 'fishing crocodiles'. On harvest season, you can taste the fresh fruits here right off the branch. You can find almost all Can Tho delicacies at its local floating markets. At Cai Rang Market, look for Bun Rieu Cua, a noodle soup with tomato crab and rice vermicelli and a dumpling/cake made of paddy crab and shrimp paste. The broth is rich with flavors, served with fresh herbs, making it an ultimate breakfast dish. 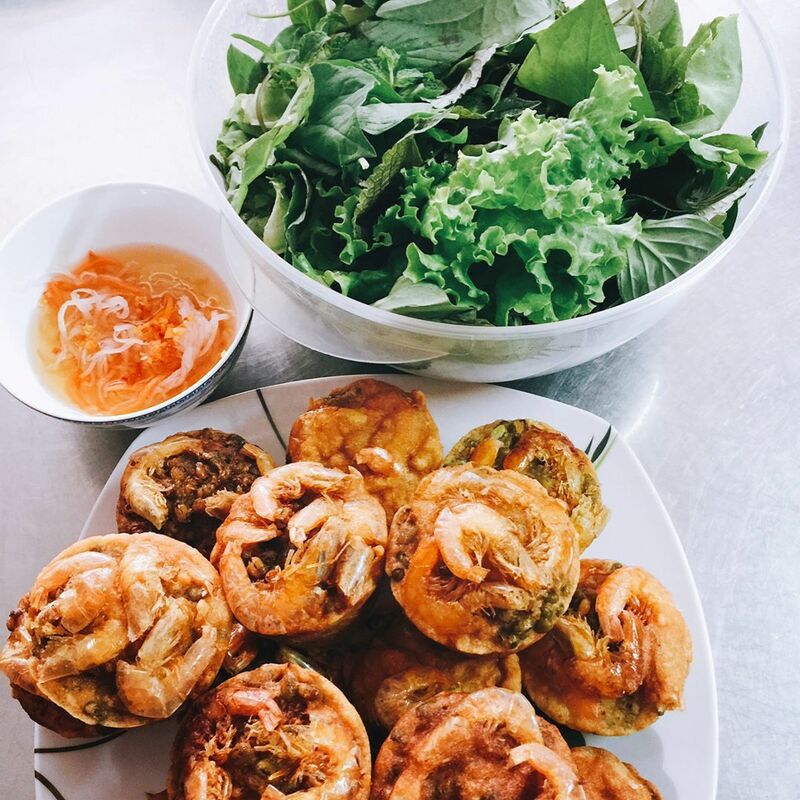 Get to De Tham Street – Can Tho’s food street to taste what the locals usually have like Banh Xeo (Sizzling Pancake) which is a crispy pancake filled with beans sprouts, green onions and meat. You eat this dish by rolling a piece of pancake in a lettuce and wrapping it by a rice paper then dipping it into a dipping sauce. Cong Cake is the most famous Can Tho specialty which you can easily find around the city. However, to truly the taste the best Cong Cake in Can Tho, ‘Co Ut’ Cong Cake Restaurant at address 86/38 Ly Tu Trong street, An Cu Ward, Ninh Kieu District. The restaurant is famous to locals and tourists alike because of the cake’s crispiness and diverse ingredients, including green beans, pork served with a savory dipping sauce. As the capital of Mekong Delta, Can Tho offers a good range of accommodation, mostly located at Hai Ba Trung Street. There aren’t a lot luxury 5-star hotels, except Victoria Can Tho Resort, but the hotels and hostels in Can Tho are spacious and can offer a great stay with several services like Mekong tours and floating markets tour. As the only city in Mekong Delta, Can Tho has the easiest access from Ho Chi Minh City via car and plane. Located just 170km southwest of Ho Chi Minh City, you can catch a direct bus which takes about 3,5-5 hours to get you there. A bus ticket to Can Tho costs about 120,000VND to 200,000VND depending on the bus companies. You can book direct flights to Can Tho from Hanoi, no flights from Ho Chi Minh are available. The best time to visit Can Tho should also be the time Cai Rang Floating Market is most active. From April – May it’s the time the tropical fruits are picked with the most comfortable weather and light rain, this is also the time for local festivals like Cholchonam Thomay and Opening Crop Festival. Another best time to visit Can Tho is the time just before Lunar New Year when the atmosphere is so bustling with flowers and all kinds of products for the major new year. Can Tho is indeed a beautiful, peaceful town in Mekong Delta with a plenty tourism services you can enjoy here. This river city is a wonderful gateway to Mekong Delta and shouldn't be missed in your trip to this part of Vietnam. Contact us now to let us know what are you looking for a Mekong Delta tour!